What Are The Health Benefits of China Fresh Garlic? Looking for peeled garlic and ginger from China? 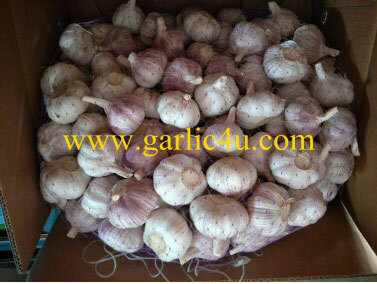 Jining Fenduni Foodstuff Co., Ltd. is established in 2005, which is a professional garlic supplier and exporter. The factory is located in Jinxing County (The hometown of Chinese Garlic), Jining City, Shandong Province, China. We have rich experience in growing, harvesting, selecting, processing, packing, refrigerating, transporting, and exporting. So we are able to provide our customers top quality garlics, competitive price, fast delivery and best service. Rich agricultural resources, superior transport conditions, favorable geographical location, advanced science and technology, high quality standards, competitive price and good corporate reputation make the rapid development of the company. Our company insist on "quality first, credit first" as corporate purpose, providing quality and efficient service to our customers. We sincerely welcome domestic and international public communication calls and inquiries. White Garlic, China Fresh Garlic, Chinese Garlic Supplier, Chinese Garlic Exporter, Pure White Garlic, Peeled White Garlic, Chinese White Garlic.